A plunge in U.S. soybean exports to China has been partly offset by a surge in sales to Europe as trade patterns shift during the trade war between the world’s two largest economies. 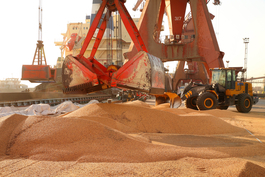 China is the world’s largest importer of soybeans, with foreign purchases accounting for nearly 90% of its consumption of a product widely used as livestock feed. Brazil has traditionally been China’s largest supplier, followed by the U.S. But American exports have fallen sharply since last July after Beijing imposed a 25% tariff in response to similar U.S. duties on a wide range of Chinese imports. U.S. soybean exports to China from Sept. 1, the start of the agricultural year, through Feb. 28 totaled about 9.4 million tons, about a third of the volume for the year-earlier period, according to the latest data from the U.S. Department of Agriculture (USDA). 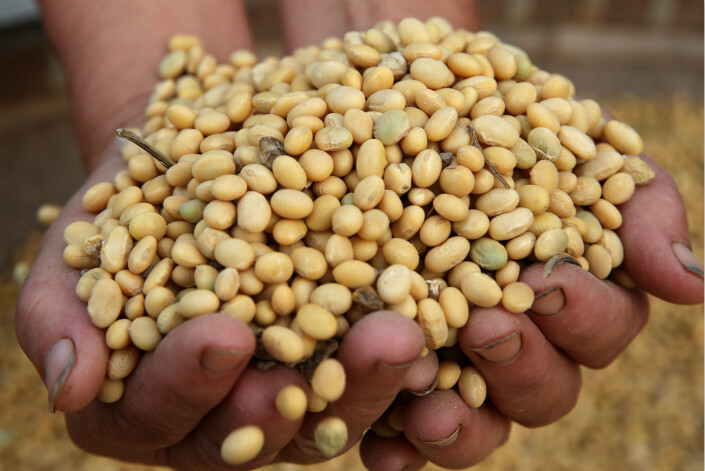 At the same time, strong demand from China doubled Brazilian soybean exports to a record 6.1 million tons for February, the department’s statistics showed. While U.S. soybean exports to China have plunged, some of the lost sales have been offset by surging demand from the European Union (EU), according to the USDA. EU purchases of U.S. soybeans had already begun to rise as early as April last year, and for the 12 months through the end of February reached 9 million tons – a level not seen since 1995. By comparison, U.S. soybean exports to the EU have averaged around 3.3 million tons annually over the last 10 years. The USDA forecast that exports to the market would continue to be strong over the near term. The shifting trade patterns come as many U.S. growers and exporters take a wait-and-see posture toward trade talks between Beijing and Washington. The two sides agreed in December to temporarily halt their trade war by not imposing threatened new tariffs while they tried to reach a comprehensive trade agreement. 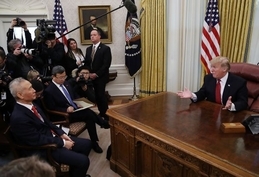 U.S. President Donald Trump later extended a March 1 deadline for reaching a deal, saying the talks were making good progress. On Feb. 24, U.S. Agriculture Secretary Sonny Perdue said on his Twitter account that China agreed to buy an additional 10 million tons of U.S. soybeans but did not provide more specifics. 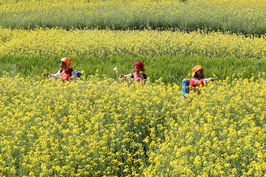 In the meantime, China’s soybean imports showed signs of weakness in February, dropping 14.9% year-on-year to 4.5 million tons, according to the latest export statistics. China isn’t placing many new orders for U.S. soybeans at the moment, and many orders that have been placed aren’t set to arrive in the country until April, said Jia Yuxin, an analyst at commodity pricing platform SCI99.com. He explained that many orders are being delayed on hopes that all import tariffs will be canceled if the two sides reach a trade deal.